Minneapolis, Minnesota is the largest part of the Twin Cities metropolitan area in Minnesota. With about 3.5 million residents, Minneapolis holds the second largest economic center in the Midwest after Chicago. Known for the Mall of America, lakes, wetlands, and global economy, Minneapolis is also rich with performing arts, sports, parks, and recreation. So it’s no surprise that Minneapolis is well known as one of the best places to live in America. The city was named the Top City to Live in the US for its environmental consciousness, food scene, job market, and public transportation. Minneapolis has also been named one of the best cities for singles, one of the best baseball cities, one of the best running cities, one of the best foodie cities, one of the greenest cities, and one of the 15 best biggest cities in America. The appeal of Minneapolis is clearly not a secret as the Twin Cities housing market has hit a 10 year high. Supply is down, demand is up, and prices are high. The median sale price of Twin Cities homes have reached the all time high record set 10 years ago. But while prices are similar, the inventory is a different story. Minneapolis once had 30,000 homes available for sale — but today there are only about 13,000. That means the market is incredibly tight and competitive. Many home owners in Minneapolis are hesitant to sell and become buyers in a market where it can be tough to find a home. And many are hesitant to go through the mortgage qualifying process right now. Still, values and equity are rising — but buyers are finding Minneapolis to be a tough city to crack into. They typically face multiple offer situations and sometimes have to pay more than the asking price. Whether you’re buying, selling, investing, or simply own a home in Minneapolis, it’s tough to know what your next step should be. But with the help of an experienced real estate agent, you can make your next move in Minneapolis real estate and feel confident in your choice. We’ve found the 15 best real estate agents in Minneapolis. These agents know the city better than anyone. They understand the neighborhoods, the nuances of the market, and how to give their clients the best position possible in the Minneapolis real estate market. They have a long list of successful real estate transactions and happy clients — and you could be next. Our top Minneapolis real estate agents are listed in no particular ranking order. Why? We have faith in all of them and know that every one of them can deliver an excellent real estate experience. So why try to determine the best? They’re all great. But we would like to know which one you think is the best! Please vote in our poll at the end of our article to tell us which top Minneapolis real estate agent you trust with your future. Just don’t wait to vote: the poll will close in 30 days! Brian Weedman is a property manager, Realtor, and investor with LifeCycle Real Estate in Minneapolis. He has 17 years of experience in real estate and is dedicated to providing full service real estate solutions to investors, sellers, and buyers in Minneapolis real estate. With a broad range of expertise, management skills, attention to detail, and skilled associates, Weedman has unmatched skills and value for every client. His services to sellers and investors include financial analysis, property management, sales, and property improvement. Buyers and tenants benefit from a consultative approach, extensive information about homes, support in obtaining loans, negotiation, and more. In addition to real estate sales and leasing as a licensed agent, Weedman has been a licensed professional engineer for more than 25 years. He has also spent more than 26 years investing in real estate and 22 years working in property management with hundreds of negotiated leases. Clients say he offers excellent service that is positive, calm, efficient, and reassuring throughout the process. They find him to be sincere, upbeat, and always ready with a solution. They value his problem solving abilities and trust his judgement to help them navigate the Minneapolis real estate market successfully. Marissa Skaja is a real estate agent with Downtown Resource Group in Minneapolis. She has more than 14 years of experience in real estate. Skaja specializes in condo and loft sales in the downtown Minneapolis area. She also offers services in property management, relocation, and real estate consulting. Skaja brings a caring approach and passion for real estate to the table — along with significant experience. She is a current real estate investor and is active in the Minneapolis community as a volunteer. Clients say she does an excellent job and is thoroughly helpful and responsive. Thanks to Skaja and her hard working staff, Skaja’s clients feel they are able to see properties any time or day and have any questions answered as well. They appreciate her communication skills, responsiveness, and helpful guidance through the Minneapolis real estate market. Michael Smith is the broker and owner Anderson Realty in Saint Paul. He has more than nine years of experience in real estate and specializes as a buyer’s agent and listing agent for residential as well as commercial real estate. Smith got started in real estate at the age of 15, working with his grandparents to flip a home — and soon entering the real estate world himself. He has a special interest in staging and has a background as a real estate appraiser and investor. Smith also has experience as a licensed general contractor, giving him extensive insight into home quality and construction. Smith’s agency has five agents and is a small, focused group of real estate professionals. He also owns a remodeling company, furniture and lifestyle store, and is an owner of Hi-Lo Diner in Minneapolis. With every transaction, Smith brings experience, enthusiasm, and a clear love for the Twin Cities. Clients are impressed by his knowledge, hard work, and ability to calmly and completely explain everything they need to know. They’re reassured by his service and appreciate his passion for taking care of his clients, moving fast in a competitive market to make their dreams come true. They value his patience, ability to talk them through the steps of the process, and the fun he brings to every transaction. Brad Fox is the broker and owner of Fox Homes in Minnetonka. For more than 11 years, he has helped clients throughout the metro area with a personal approach to real estate. Fox’s real estate experience has led him through hundreds of neighborhoods throughout Minneapolis, St. Paul, and the suburban metro area. He has also spent significant time renovating homes, which helps him help his clients as they choose homes and make smart investments. Fox is often able to help clients see the potential in a property as well as plan for future expenses. Clients say he is knowledgeable, patient, responsive, and helpful every step of the way. They’re impressed by his ability to find what they’re looking for at the right price and answer their questions and requests quickly and effectively. His clients say he is professional, approachable, and makes real estate much less overwhelming for them. Dave Doran is an associate broker and Realtor with EXIT Realty Metro in Minneapolis. He has 13 years of experience in real estate and has been with the company since 2006. Doran started his real estate career as a full time Realtor and residential investor, then later helped to create the Minneapolis EXIT Realty Metro office. He is a consistent top producer for the local office as well as throughout the United States and Canada. While he often works with traditional buyers and sellers, Doran has a special skill and interest in representing investors. He also represents national banks and asset management firms. Doran is always determined to achieve client goals and commits his time and energy to making sure he can get the job done. Doran’s clients say they enjoy working with him and find his knowledge and expertise to be invaluable. He goes above and beyond with them, solving every problem and managing the entire process seamlessly. His clients also love to take advantage of his connections in the industry to make their homes look great before going on the market or after a new purchase. Harry Greenberg is the principal at Ride on Realty in Minneapolis. He is known as “The Bike Realtor,” combining his biking passion and real estate expertise. An avid biker, Greenberg uses his bicycle as his primary form of transportation in buying and selling real estate — and he invites his clients to join him on two wheels if they’d like. He believes that there’s no better way to learn a neighborhood than to see, hear, and smell it from a bicycle. And of course, bicycling to and from properties saves precious fossil fuels. Greenberg specializes as a buyer’s agent and listing agent with special interests in relocation and foreclosure. He generously shares his knowledge and is always happy to research particular areas to help his clients learn what they need to know in order to make the right decision about the right property. Clients say Greenberg is a pleasure to work with and they enjoy house shopping by bike with him. They’ve found a trustworthy, relatable agent in Greenberg and appreciate the impartial, insightful guidance he offers. They feel like he is their advocate every step of the way and appreciate all he does to help them find what they’re looking for. 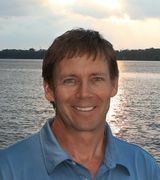 Jim Dropps is a broker, Realtor, and house expert with Northeast Real Estate Group in Minneapolis. He has more than 11 years of experience in real estate and established Northeast Real Estate Group in 2011. Dropps and Northeast Real Estate Group specialize in northeast Minneapolis and historic homes, sharing the exceptional growth, change, and cultural awakening in the area and greater Minneapolis. While Dropps specializes in northeast Minneapolis, he serves the entire city and even inner ring suburbs. Dropps provides clients with personal consultation and friendly advice while making the buying and selling process as educational and informative as possible. With his thorough knowledge of homes, Dropps is able to advise clients on updates and maintenance in historic homes — and often gives blunt assessments as part of the buying and selling process. Clients say Dropps is a pleasure to work with an extremely knowledgeable about Minneapolis and the Twin Cities real estate market. They appreciate that he is willing to put in the time and effort needed to serve them and make their real estate transactions go smoothly. They find him to be personal, proessional, and dedicated to helping them achieve their dreams in Minneapolis real estate. Deeyon Persaud is a Realtor with Bridge Realty in Minneapolis. He has more than 11 years of experience in local Minneapolis real estate. A native Minnesotan, Persaud has lived in the Hennepin County metro area for more than 25 years. He has a local’s understanding of the city, its neighborhoods, and what buyers and sellers are looking for in the Minneapolis market. In his real estate experience, Persaud has successfully represented buyers, sellers, investors, and developers. He specializes in affordable homes, condominiums, and historic homes. In the Minneapolis real estate industry, he is known for his creativity, diligence, detailed research, and exceptional negotiating skills. Persaud is a member of the Minnesota Association of Realtors as well as the Multi Million Dollar Club. His clients say he is a responsive, hard working agent with knowledge and communication that is second to none. They notice how much he cares for their best interest and feel well supported with him as their agent. They appreciate how well he works with them to understand the process of purchasing or selling a home and note his always outstanding service as he represents their real estate goals. Michael Gross is a real estate agent in Prior Lake. He has more than 15 years of experience in real estate and specializes in Minneapolis condos and housing. Gross is a buyer’s agent and listing agent offering expertise as a condo expert and real estate consultant. With a family background in real estate, Gross has been familiar with real estate most of his life and has sold hundreds of homes in the Twin Cities and surrounding areas. He has a particular interest in Minneapolis condos. He is ranked in the top five percent of Realtors in Minnesota for annual sales — a feat he attributes to his client first philosophy. Gross is committed to avoiding the pushy salesperson stereotype, instead offering expertise, collaboration, communication, and listening to the needs of his clients. He always puts the concerns of his clients before making the sale. Customer satisfaction is his primary aim as he helps sellers get the best possible price with the least amount of anxiety and buyers find their dream home at the best possible price. Gross is always committed to excellent service and takes pride in his ability to support his clients in Minneapolis real estate. Clients of Gross feel lucky to have him as an agent. They say he is professional, responsive, knowledgeable, and patient. He is always available to answer questions and offer help. And they appreciate how quickly he is ready to spring into action to connect them with homes in the fast moving real estate market of Minneapolis. Fritz Kroll is a real estate professional with Edina Realty Downdown Minneapolis. He has more than 17 years of experience in real estate. Kroll specializes in downtown Minneapolis living and is dedicated to excellent service. He knows the value of going the extra mile and he makes it a point to make every real estate transaction pleasant and rewarding. Kroll takes great pleasure in helping his clients fulfill their housing goals and works hard to bring them the service they deserve. Kroll has a number of designations and certifications in real estate including Graduate of the Realtor Institute, membership in the Edina Realty Chairman’s Circle, Relocation Certified, and Exceptional Property membership. Clients say Kroll is the best Realtor they’ve worked with. They note his professionalism, organization, and commitment to making the process of real estate as stress free as possible. They love the low pressure experience he offers and can tell that he truly cares about his clients. They know he will do whatever it takes to help his clients find the right home at the right price or sell their home for top dollar with the least amount of stress. Becky Scadden is a Realtor with Scadden Real Estate in Minneapolis. She’s moved more than 30 times in her life — and for the past 12 years she’s specialized as a Realtor, helping her clients make their next big move and closing more than $50 million in real estate sales. Scadden sees moving as a momentous occasion and loves to help her clients make real estate decisions that will affect their lives for years to come. In her real estate experience, Scadden has seen a wide variety of homes and market conditions — and has learned how to best handle them all. She is an expert at helping buyers connect with the right home and well versed in assisting sellers as they sell and market their homes for the most value with the shortest sale. Scadden promises to be realistic, down to earth, and fun for every client to work with. Her clients say she is fantastic to work with and makes the whole process less intimidating. Her knowledge and guidance give them the confidence they need to make big decisions and get the best deals. They say she is very patient, easy to reach, and delivers service that’s just right. Lisa Stevens is the broker and founder of Vibrant Realty in Burnsville. She has more than 15 years of experience working in the real estate industry. Stevens is proud of Vibrant Realty, a full service company offering solutions and informed decisions to every real estate client. She always strives to give her clients the best experience possible and serves every client diligently whether they need help with buying, selling, or property management. In addition to real estate, Stevens has experience in corporate sales, marketing, engineering, and negotiation. Paired with her market knowledge, professionalism, and hard work, Stevens offers her clients an edge in the Minneapolis real estate market. Clients say Stevens and her team go to work for them effectively. They’re happy with her service and experience, noting that she goes above and beyond to work for clients through closing. And they’re impressed that she often knows what they’re looking for even before they do. Clients say she and her team are prime examples of hard work and dedication, qualities that are reassuring as they work through the real estate process. Debra Wagner is a real estate agent with Greenway Homes Realty in Minneapolis. She has more than 15 years of experience as a real estate agent. Wagner has been a Minneapolis resident since 1980 and a Minneapolis home owner since 1984. In her more than 15 years of real estate experience, she has served buyers and sellers alike, guiding them successfully through practically any situation that can happen in real estate. Wagner finds great satisfaction in helping her clients achieve their goals in real estate. She is also proud to show off her own home, an Arts & Crafts bungalow in NOMI that has been featured on HGTV’s Old Homes Restored as well as in the Minneapolis St. Paul Hometour. Wagner brings a depth of knowledge in Twin Cities real estate as well as a passion for serving clients to every single transaction. Clients are overjoyed to work with Wagner, as she meets and exceeds their expectations for service in real estate. They say she delivers an excellent level of attention and expertise while offering supportive, reassuring service — particularly during stressful times. Wagner’s clients are happy with their results and even happier to have her as an advocate on their side. Chris Gemlo is a real estate broker with Counselor Realty in Edina. He has more than 17 years of experience and specializes as a buyer’s agent and listing agent with special interests in foreclosures and property management. Gemlo offers clients diligent, attentive service and a commitment to achieving high level results. He takes every step necessary to make sure that all of his client’s real estate goals are achieved. Always careful to understand his clients’ specific priorities, Gemlo gives every client advice with an informed and comprehensive understanding of the real estate market. With constant communication, attention to detail, accessibility, and helpful responses, Gemlo is always ready to represent the best interests of his clients as a true advocate for their goals. Gemlo holds a number of designations in real estate including Accredited Buyer Representative, Graduate of the Realtor Institute, Broker, and membership in the Council of Residential Specialists. Clients say Gemlo is exceptional, working hard for them as a personable, accessible Realtor. They appreciate his negotiation skills, helpful explanations, and careful attention to detail. They consider him an excellent resource not just for buying and selling homes, but for home ownership. Aaron Neumann is a broker and Realtor with Parkway Realty in Minneapolis. He has more than five years of experience in real estate and specializes in helping people buy and sell homes in a fun, smart, and stress free way. His area of specialty is northeast Minneapolis, where he is an active member of the community. Neumann loves to work with first time home buyers as a consumer advocate, offering one on one attention, research, and an honest professional opinion. And with a background in outreach, marketing, social media, and negotiations, Neumann effectively delivers strategic market plans for every seller, ensuring the highest market value in the least amount of time. Neumann promises not just to deliver results, but fun for his clients at the same time. He is a Graduate of the Realtor Institute and was recently named one of the Best Real Estate Professionals in Minnesota by Minnesota Monthly. Clients say Neumann delivers a superior experience, giving them the results their looking for with excellent service along the way. They value his advice, network, and insight into important information in neighborhoods, staging, and marketing. And they’re impressed by his knowledge, particularly of the northeast Minneapolis area. Through it all, Neumann makes the process fun and is always there to serve his clients in any way necessary.